Hello guys! Today we are going to show you how to recover lost or forgotten password for MS Access database file (*.MDB). 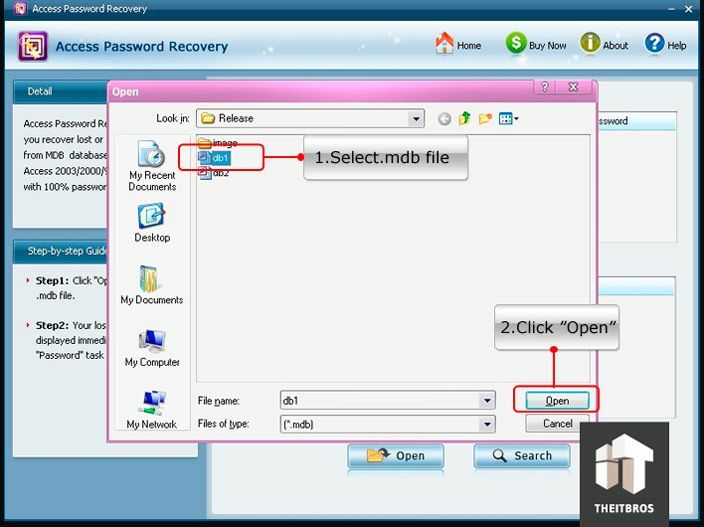 There are a lot of tools that can help you to recover lost password, but if you don’t want to risk your data being corrupted, you should use well-known tools. 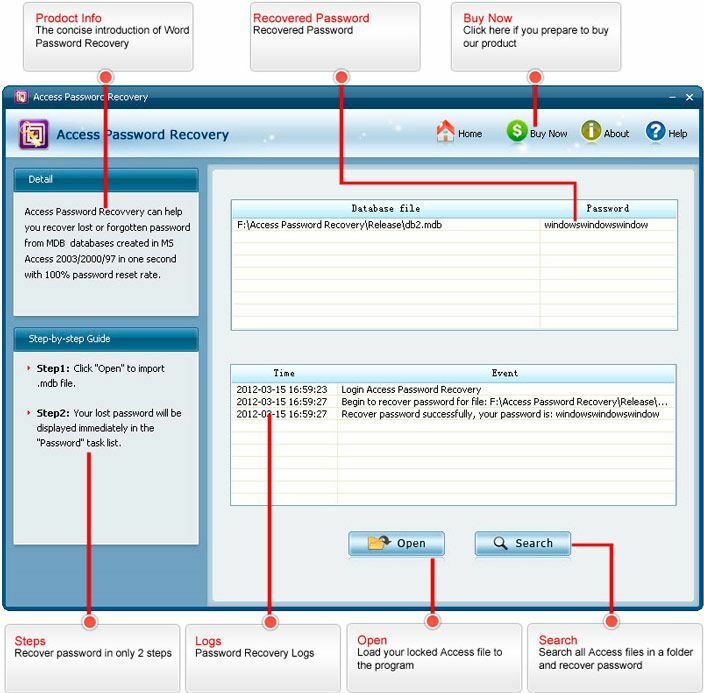 If you are looking for cheap and good software for .MDB repair, you should use Access Password Recovery tool. It is powerful program that will help you to get back access to your database. It is also worth mentioning that this tool guarantees you nearly 100% recovery rate without data corruption. Let’s get started. First of all you have to download Access Password Recovery tool. If you want to try it out, download a free trial version. Install and run this tool. Now, you have to import your .MDB file to this program. Click on Open and in the following window select the .MDB file that you want to recover. In a couple of seconds you will receive your recovered password. 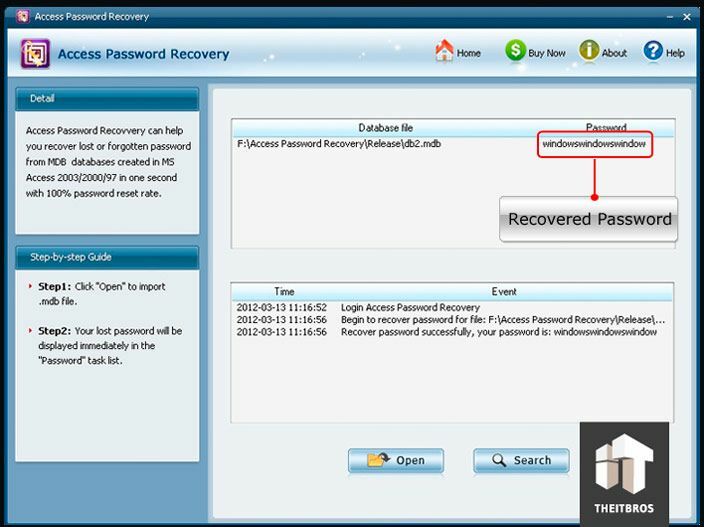 As you can see it is really easy way to recover your lost or forgotten password. Also, you should notice that this software support almost all Windows OS & brands of computer. Support Windows 10, Windows 8.1, Windows 8, Windows 7 (32/64 bit), Vista (32/64 bit), XP, 2000, NT, etc. Support Windows Server 2012, 2011, 2008 (R2), 2003 (R2), 2000, NT Server, etc. Support all brands of desktop, laptop or server, such as HP, Dell, IBM, Sony, Lenovo, ASU, etc. Just download the trial version and enjoy. The only limitation of the trial version is that passwords longer than 3 characters cannot be displayed. But you can try it out, and if you are really satisfied with this software, you can buy a full version. The regular price for this tool is $39.99, but there is a special offer right now, so you can buy it for only $19,95. That’s pretty much it. 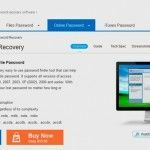 With this tool, you can instantly recover your lost password no matter how long or complicated it is. If you have any questions, you are free to leave them in the comments section below.